Santorini, Maldives, Hawaii, and Bora-Bora are clichés when it comes to Muslim friendly honeymoon destinations. In this article, we will go towards the non-conventional. Are you up for it? Here are the other top and ideal honeymoon destinations for Muslim newlyweds that you may not have considered! 7 top Muslim friendly honeymoon destinations that you should include in your travel list! 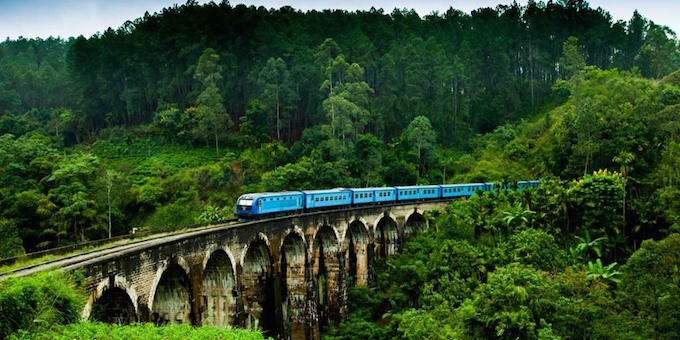 Sri Lanka is a beautiful and exotic country. It is ideal for travellers who are always keen for adventure and unique experience. 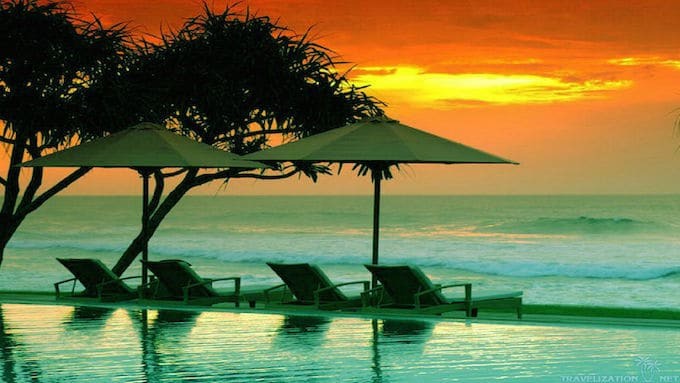 If you are a newlywed who’s looking for top Muslim friendly honeymoon destinations, Colombo might have never crossed your mind, but it should! The country enjoys beautiful weather all year long, ideal for honeymooners who want to be in the outdoor. Plus, there are many things to see here – local markets, oceans, mountains, jungles, old cities, etc. Plus, the gorgeous beaches provide an ideal beach getaway for romantic couples like you. These seashores are located not too far from Colombo. Hungry while sightseeing in Colombo? Halal foods are also plenty here – perfect for Muslim newlyweds! 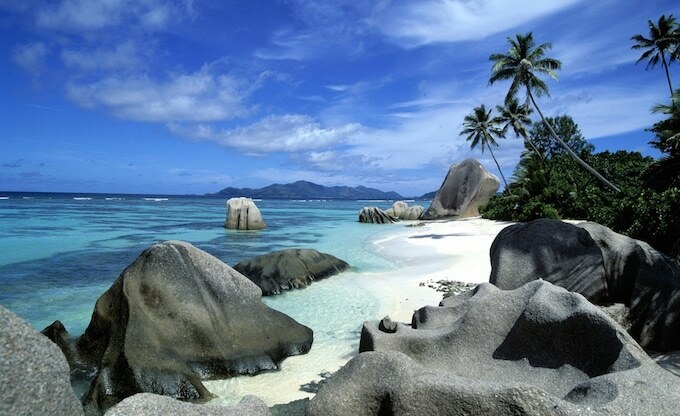 The archipelago of the Caribbeans or Hawaii can be quite touristy. If you are looking to have a private and more peaceful honeymoon experience, why don’t you consider the Andaman Islands? It is one of the Muslim friendly honeymoon destinations you may not have considered! Situated in between Myanmar and India, The Andaman provides luxurious and relaxing moments for the newlyweds with its private beaches, lush tropical jungle, and five-star resorts. While Islam might not be the main religion of the islands, there is still a small Muslim population here, especially in the Nicobar Islands. Beaches, jungles, cities – old or modern – are the common destinations for those who are seeking a romantic honeymoon vacation. 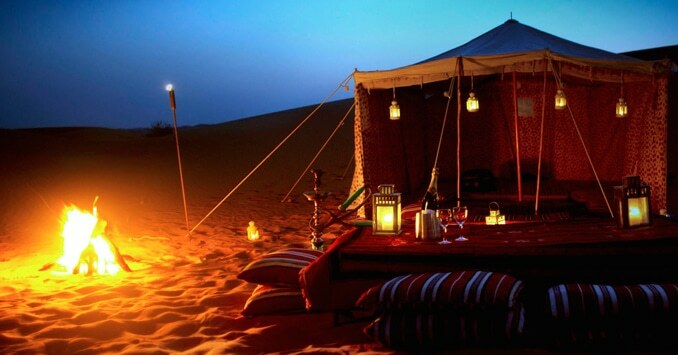 Let’s do something different this time – a romantic stroll in a desert with your spouse. Where? In Abu Dhabi, UAE! Here, you can sleep under the open sky overlooking the stars. Have a stay at one of the many desert resorts in the country (try LIWA Hotel) and enjoy doing some serious sand sports activities. 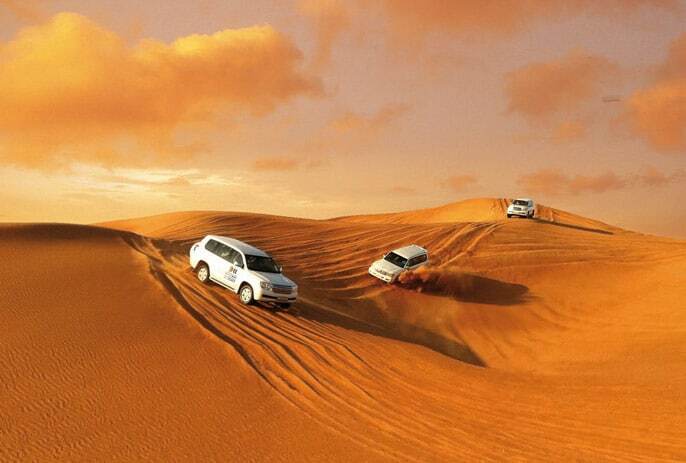 Some of them are camel riding, dune bashing, sand boarding, ATV racing, and desert safari tour. Riding a hot air balloon in Cappadocia, Turkey, is the dream of many newlyweds. 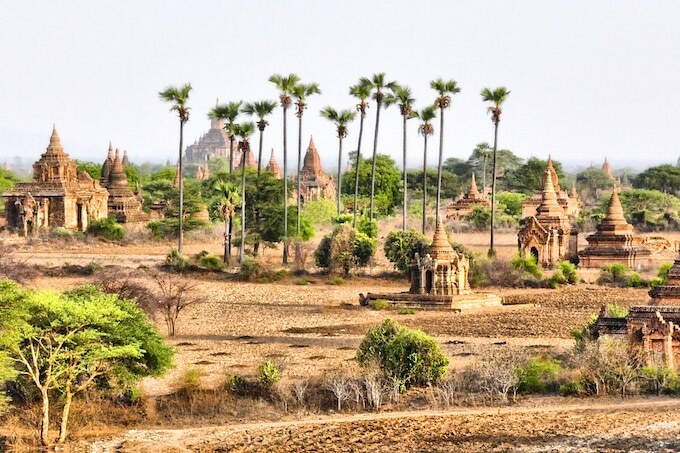 However, there is another Muslim-friendly honeymoon destination you may not have considered, and it is in Bagan, Myanmar. 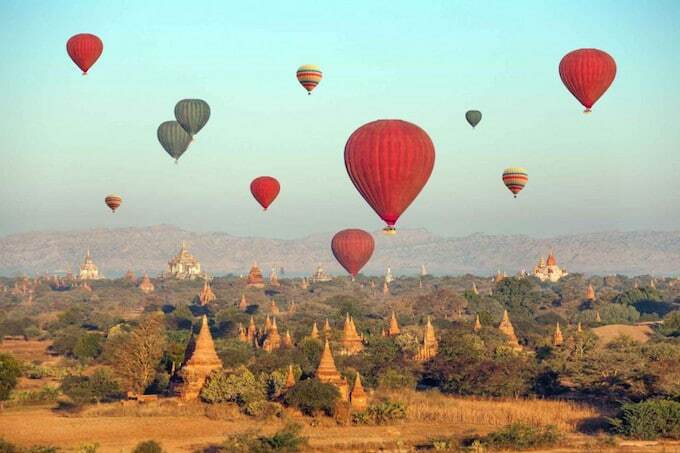 Just like in Cappadocia, you can also enjoy a fairytale-like honeymoon experience in Bagan Myanmar. You will be able to fly above some of the famous ancient sites in the country and enjoy the majestic bird’s eye view from up above! While there might not be many Halal restaurants in Bagan itself, there are a few halal restaurants in bigger cities like Yangon and Mandalay for you to enjoy Halal meals while vacationing in Myanmar. Boracay or Cebu are famous island destinations for newlyweds around the world. They are beautiful but can be crowded during peak seasons. So, here’s another option for you: Coron Island. 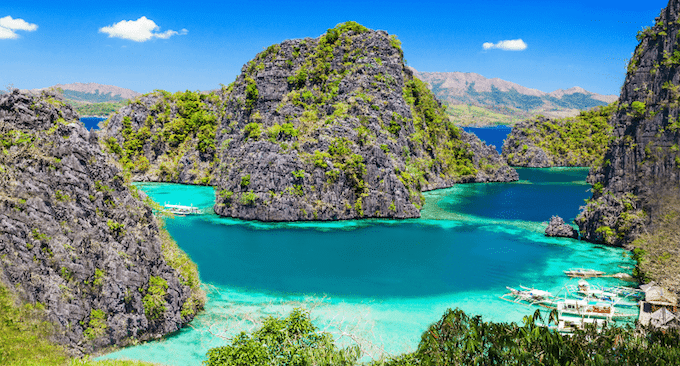 Located in Palawan, Coron offers so much more than just beautiful ocean water. There are lakes, mountains, white pocket beaches (ideal for picnics), mangroves and hot springs! You might not be able to find a Halal-certified restaurant in the Coron Island itself, but there are many Halal restaurants in another part of Palawan Islands (Lale’s Restaurants and Kalaui Restaurant). 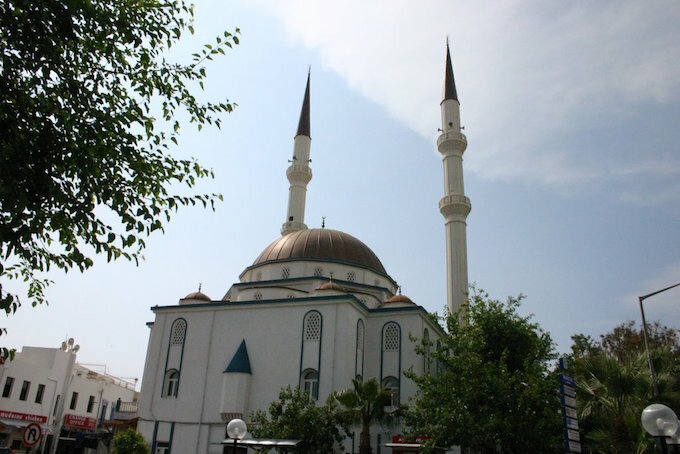 There are also mosques in that area for you to visit (Islam Mosque and Al-Farouq Institute)! 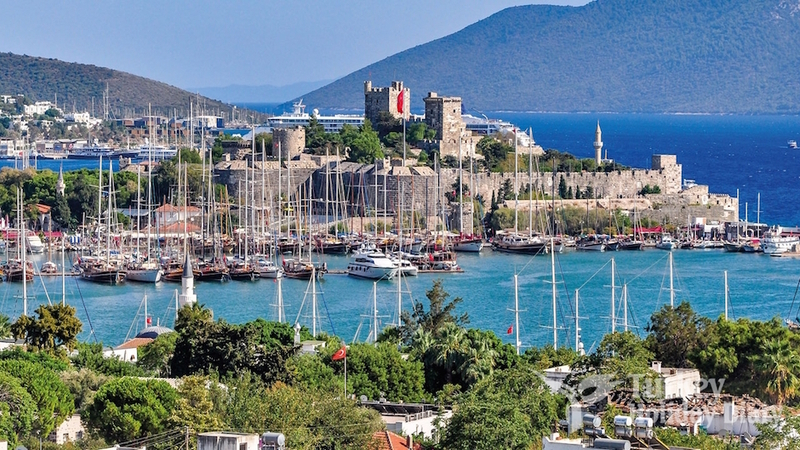 Bodrum might not be a household name in the world when it comes to Muslim friendly honeymoon destinations. But, it is fairly popular amongst the Turkish, especially the newlyweds. It is a resort town that offers a scenic view of the Aegean Sea, fresh seafood cuisines, and charming farmer villages. Another perk of having a honeymoon in Bodrum is that halal foods and prayer facilities are very easy to find! Borneo Malaysia, which consists of Sabah and Sarawak, is also one of the Muslim friendly honeymoon destinations you may not have considered! This place will make you feel like you have just stepped back in time, into the Jurassic world. 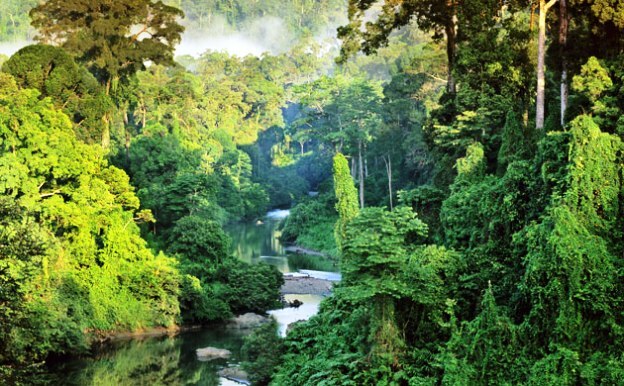 Here, you can enjoy hiking in the lush tropical forests, watching Orang Utans and other exotic animals like Proboscis monkey and Rhinoceros Hornbill birds. Getting Halal foods and finding mosques to pray in is easy here on the Borneo island. 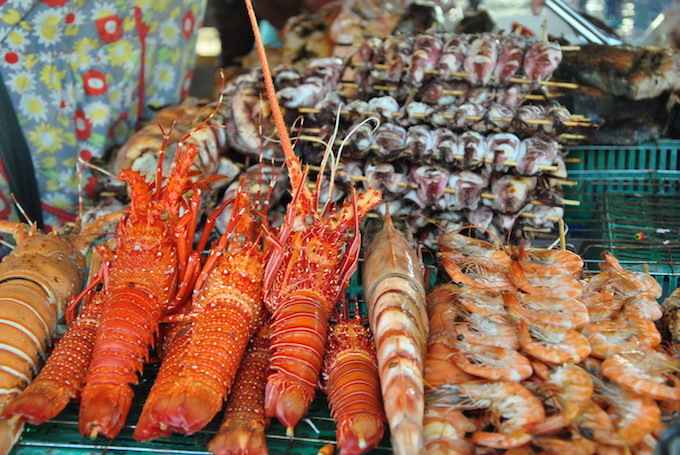 You should also try some of the local delicacies and seafood – they are cheap and delicious! There are so many things to explore and experience in the top Muslim friendly honeymoon destinations above. Not many will consider them but you should! They are unique and beautiful. Most importantly, they provide the ultimate Halal honeymoon vacation to the Muslim newlyweds! Do you have any other favourite honeymoon destination that we have not included in this list? Let’s share in the comment box below.